This clash is also at the Blazers' Moda Center as Portland look to build on their 6-2 start, sitting pretty in third in the Western Conference. The Lakers, by contrast, have made a losing start to the season with the pressure on team coach Luke Walton after winning just three of their first eight games. 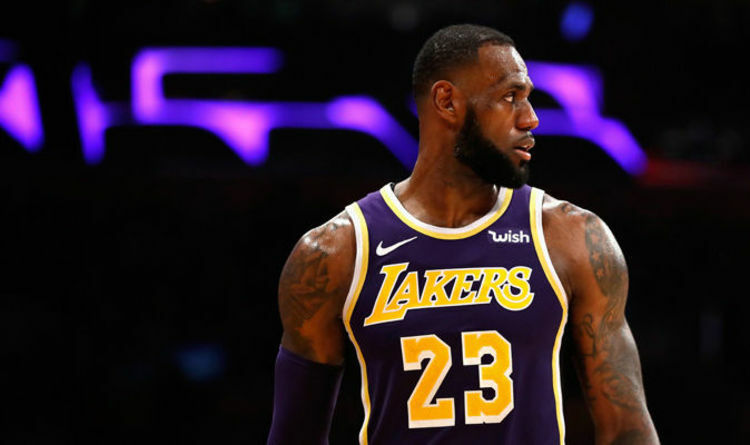 Walton has been admonished by Lakers president and legend Magic Johnson for their start, although James helped to earn a clutch 114-113 win over the Dallas Mavericks last time out. Recent reports have indicated that Walton's long-term future is uncertain heated meeting with head of basketball operations Johnson but James is focused solely on matters out on the floor. Walton will hope to begin turning things around against Damian Lillard and co. tonight (2am UK start) - although the Blazers are in fine form and their offense has proven one of the best in the league. And if they do that, it will ensure they tie the longest winning streak against a single team in their history having won 17 straight against another Los Angeles franchise, the LA Clippers, between 1986 and 1989.